In celebration of “The 50th Annual CMA Awards,” CMA has created the biggest music video in Country Music history. 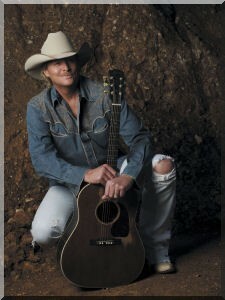 Titled “Forever Country,” the single and accompanying music video features 30 CMA Award-winning acts. This single was produced by CMA Board member and CMA Award winner Shane McAnally and the video was directed by Grammy Award-winning director Joseph Kahn. Link til Lennon and Maisy, "Ring of Fire" (Live at Grand Ole Opry). Link til Shania Twain og Billy Currington i "Party For Two"
Neil McCoy - "Billy's Got His Beer Googles On"
Lauren Alaina og Scotty McCreery - "I Told You So"
Lauren Alaina og Scotty McCreery - "American Honey"
Lauren Alaina og "I Hope You Dance"
Scotty McCreery og "Long Black Train"
Carrie Underwood og Randy Travis og "I Told You So"
Joe Nichols - "Tequila Makes Her Clothes Fall Off"